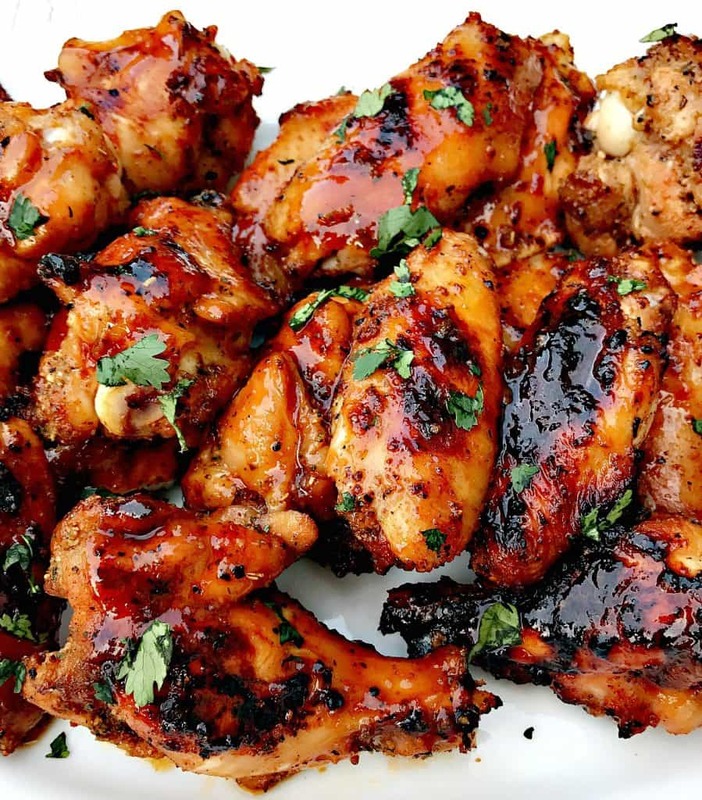 BBQ Sauce Ranch Grilled Chicken Wings loaded with a zesty, smoky flavor. 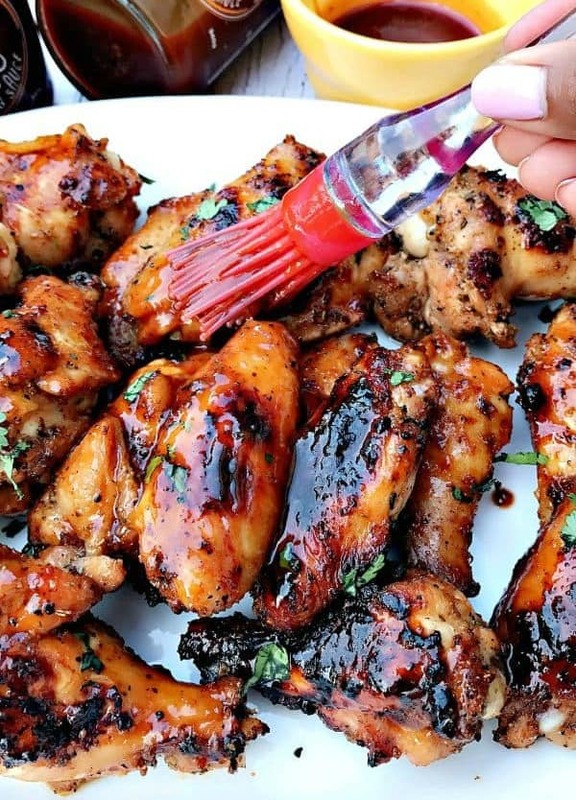 This ranch flavored wing marinade is perfect for summer barbecue parties, tailgates, and holidays, especially Memorial Day and the Fourth of July. Summer is coming to an end. However, that does not mean I am putting my grill away! I grill outside in all temperatures! Football season is near, too! 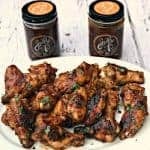 These BBQ Ranch Chicken Wings will make a wonderful addition to your watch parties, tailgates, and more! I have said this numerous times, I live in Kansas City. We are KNOWN for our BBQ here. I am always looking to sample different sauces for the sake of variety. I love how easily BBQ sauce glides over the chicken. I like to apply BBQ sauce to the meat directly while it is still warm. This way, the meat soaks up all of the flavor. This can be challenging to accomplish if the sauce is too thick. Be sure to find the perfect brand! I love our local Kansas City, Gates BBQ Sauce. I chose to add a little zest to this recipe by adding ranch because I had leftover ranch seasoning from the Bacon Ranch Chicken Casserole dish that I prepared last week. I also wanted to add ranch because it is the perfect complement to the sweet flavor from the BBQ sauce. You truly can’t go wrong with this combination. Start planning your game day tailgates now…and keep this recipe in mind! 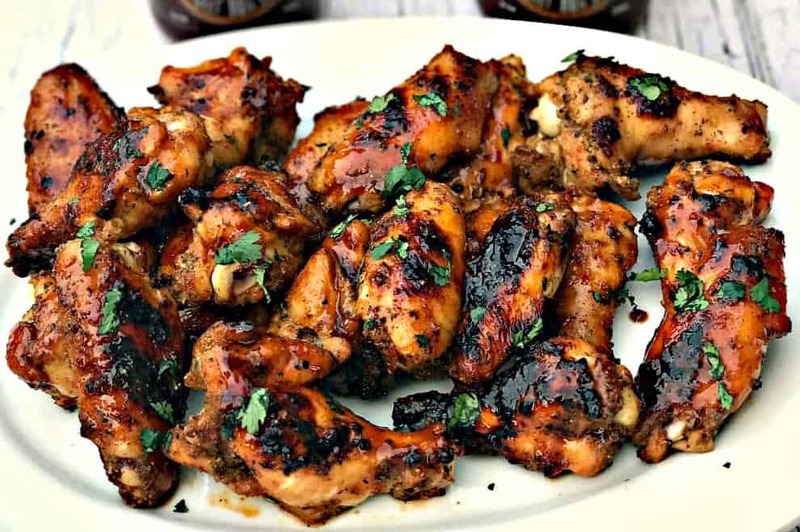 BBQ Ranch Grilled Chicken Wings loaded with a zesty, smoky flavor perfect for game day, tailgates, football, cookouts, and more. Add the chicken to Ziploc bags. Add the seasonings (including the ranch seasoning) to the bag and shake to ensure the chicken is fully coated. Seal the bags. Refrigerate overnight. Using a cooking brush, coat the chicken with the melted butter and BBQ sauce. Remove the chicken from the grill. Prep time does not include time to marinate overnight. It’s all about football in our house and this bbq sauce sounds dynamite! I would love to bake up some hearty beans with it! Oh wow – these would be perfect for me right now! I’d love to have like… a bucket of these. Yummy! You cannot beat a good bit of chicken. I am crazy about ranch so this is the perfect recipe for me! Man oh man these look delicious! I better get to work in the kitchen..
We also grill in all weather here in Australia. I love the look of these ranch grilled wings – they looks packed full of delicious flavour. 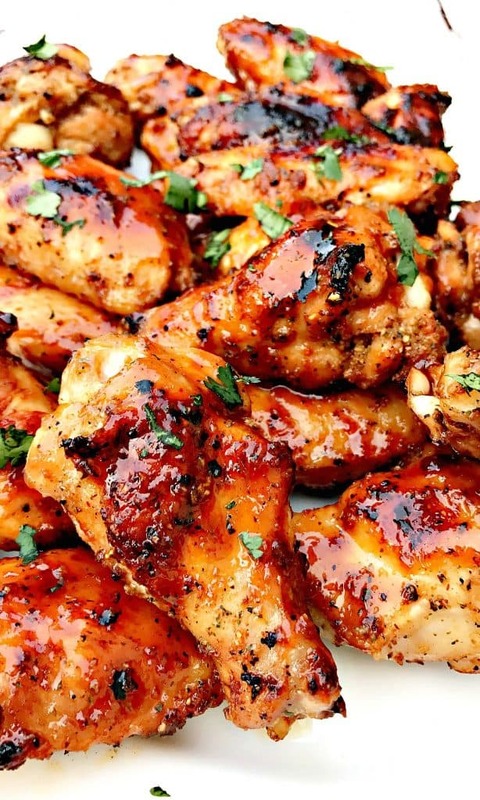 That sweet sauce sounds so good and those wings look like they were grilled to perfection! This is one of the best game foods ever! Sweet BBQ Sauce sounds like the dream way to do. I’d be putting that in everything! Perfect for a night out grilling! These look so flavorful! I’m a huge fan of bbq! It’s hard to do in London, and I really miss all the good American sauces. I used to live in Texas, so was very spoiled by the bbq there. 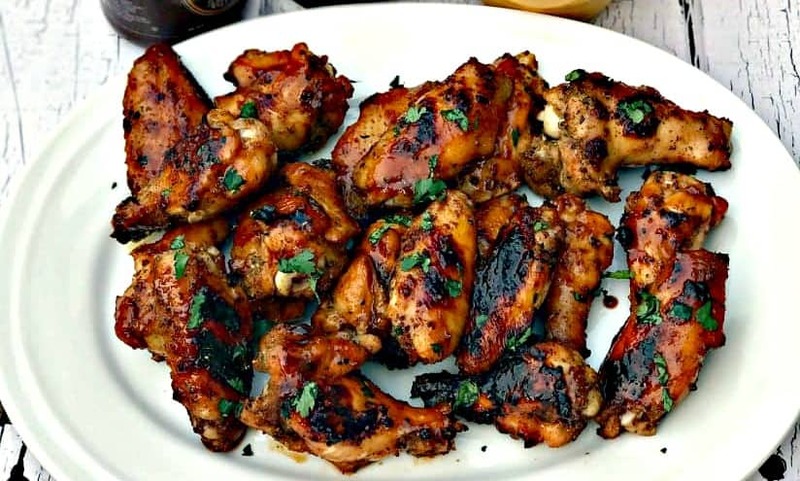 These grilled chicken wings look great. Sounds delicious, and great tips about getting the meat to actually soak up the bbq flavor! Getting ready for football season in my house so this is perfect! I am drooling here! I love chicken wings and bbq ones are probably the best. These ones look amazing! I just want to dive into those wings! They look so tempting. I love trying new BBQ sauces and appreciate the tip about Sweet T’s. That sauce has my drooling! I’m seriously craving wings now. I’ll have to make them for the next football game! These wings look so delectable! I wish I could grab one right out of the photo! Yum. Love the ranch / barbecue combo. MMMMM these look so good! Adding ranch is something I never thought of so that’s such a great tip, can’t wait to try this for the upcoming weekend, it’ll be perfect grilling weather! OK YUM! I love BBQ chicken, especially when you put the BBQ sauce on while they’re still on the grill. This looks so good and perfect for summer! These wings look so tasty! Summer is in full swing where I live, so I’ll make sure to make them for my next barbecue. I just ordered an air fryer and I am so excited to have found this recipe– these look amazing!! Can’t wait to try! Football season is starting soon..I know what I’m making!! These are going to be a huge hit! These wings look just amazing! I definitely have not put my grill away yet, even though it’s almost OCTOBER and I live in WISCONSIN. A nearby grocery is having a raging sale on wings at the moment, so I know the perfect way to use them. Thanks for the inspo!